To set yourself apart from the herd in the crankbait market, a company has to take serious its understanding of hydro-dynamics, materials and components. 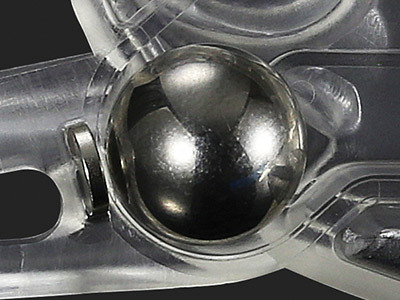 It must also have excellent balanced, castability, defection, unique yet proven vibration and low line-tension during retrieves. DUO exceeded these challenges and set a bench mark in the process with Realis Crank G87, a true super crank and a true pinnacle of lure engineering. G87`s crank development was carefully put into motion by DUO’s R&D team. The need for a crankbait that could truly dive deep and accurately reach its target has been deeply desired by professional anglers. To make a lure dive deep is not a huge challenge. But to make a lure dive and remain balanced, travel (like an arrow) through the air minimally influenced by cross winds and stay within strike zone longer with minimal reeling tension requires precise engineering. DUO`s chief designer, Mr. Masahiro Adachi has exceeded expectations. Keeping the 87 mm profile, maintaining the advanced weight transfer system, DUO Realis has issued a new deep diver – G87 15A, a profile desired by many professionals not only our personal staff. It is a niche bait that dives between 14 and 16 ft. without effort. 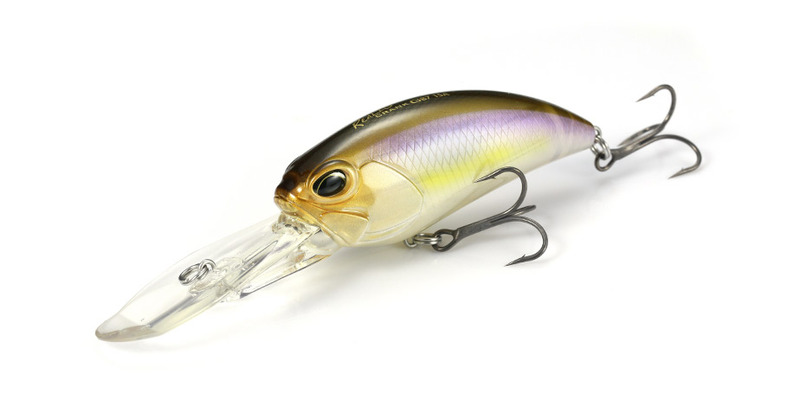 This crankbait successfully incorporated a pronounced yet sinuous wobble with low hydro-resistance during the retrieve and allows an angler to achieve much more without the extra weight and fatigue. This superior diving ability can be attributed to the most advanced weight transfer system in deep diving cranking soon to be used on the professional bass circuits. G87`s enlarged magnetic ballast carriage hides the casting bearing outside the body cavity, where it`s held by a magnet made of Neodymium, a material considerably stronger than the usual magnesium, necessary due to the size of the bearing. The G87’s body is approximately 3 ½ inches in length and weighs at 35 grams (1-1/5 oz), with a heavy weight appearance you would think heavy resistance and heavy line tension (during the retrieve) would be apparent traits but it’s the opposite. Mr. Adachi was able to reduce hydrodynamic drag from the bait. Mr. Adachi was seeking to create a vehicle that could be pushed distanced and driven deep into darkest without a hint of labor. 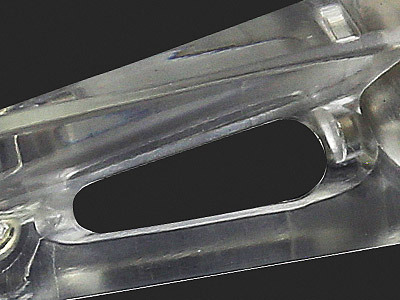 The G87, has walked right through what most have called the final barrier in crankbaiting and pioneered a new one. Not only is it the first of its kind in the world – the G87 created a new pinnacle, a new frontier in crankbait engineering.